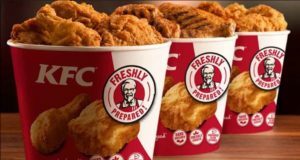 KFC in association with Airtel Payment Bank/ Airtel Money is offering Flat Rs 75 Cashback on Min Order worth Rs 450 via Airtel Payment Bank/ Airtel Money. So, Hurry up!! How to get Flat Rs 75 Cashback on Min Order worth Rs 450 via Airtel Payment Bank/ Airtel Money?